Posted on 23rd October 2017 at 1:42 pm. 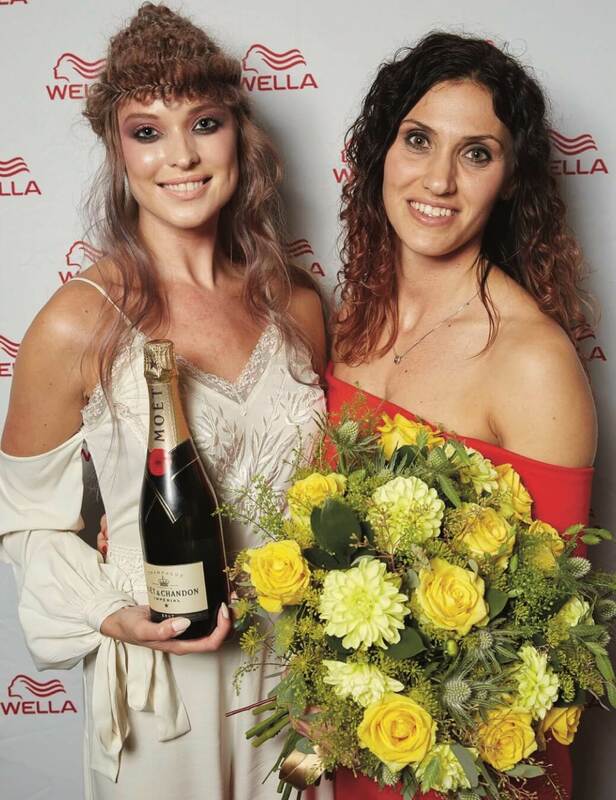 Rita Tuska has been awarded one of the highest hairdressing accolades in the UK and Ireland after winning UK GOLD in the CREATIVE VISION Category at the Wella Professionals TrendVision Award UK. Rita, competed against hundreds of hairdressers earlier this year to secure her place in the finals, held at London’s Roundhouse this month. The UK & Ireland Final saw her compete against 19 of the country’s most talented hairdressers to take home the Wella Professionals TrendVision Award 2017 UK GOLD in the CREATIVE VISION category. The next step for Rita is to join the Wella Professionals TrendVision mentoring programme learning from a range of hair industry greats including Bruno Marc, Robert Eaton and Akin Konizi. She then goes on to represent the UK at the international TrendVision Award in London in October. Rita, who has worked with us at Joseph Ferraro Hair for the past years, said she was delighted with her success. “This has been a dream of mine for some time and I have worked extremely hard to win this award and I am delighted the judges believed in me and understood my vision. I couldn’t have done this without the support of Joseph Ferraro and the team at Joseph Ferraro Hair. “I’m looking forward to representing the UK at the International Final next month when I will be competing against hairdressers from 42 other countries,” she said. Joseph Ferraro Hair is owned by North Eastern Hairdresser of the Year Joseph Ferraro. He and his team have a string of awards and titles under their belt – and Joseph is delighted with Rita’s golden success. “Rita is a very talented stylist and we are all delighted with by her success at this latest competition. Everyone at Joseph Ferraro Hair is proud and will be fully supporting her as she goes forward to represent the UK in Wella’s international competition next month. “I am incredibly lucky to have such a fantastic team of talented hairdressers working across both Joseph Ferraro Hair salons in Harrogate,” he said. “The Wella Professionals TrendVision Award is one of the most prestigious in the hairdressing industry. It is a great way for new talent to shine through and we are confident we have discovered some true stars in the making. We wish the winners every success for the coming year,” said Sheila Jackson, Education and Event Director, Wella UK & Ireland.